Samsung Pay and Android Pay/Google Pay have been around for years at this point, but there are plenty of other mobile payment solutions. LG Pay has existed in South Korea for a while, and now Huawei's payment app has been uploaded to the Play Store. It's worth noting that Huawei Wallet is not a new app; this 2014 review of the Honor 6 mentions Wallet as a system application. Much like LG Pay is only for South Korea, Huawei Wallet has only been available to users in China. It makes sense that Huawei would want to develop its own wallet app for China, considering Google Pay is not available there. So why is Huawei Wallet just now appearing in the Play Store? 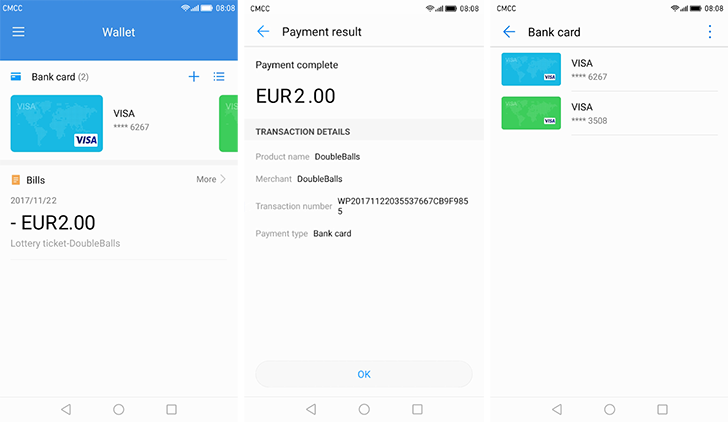 According to the review replies, the company is planning to offer paid services to Huawei ID users (at least in Europe), and Wallet will be used to manage those payments. I don't see why a website wouldn't work for that, but whatever.